Rachel Morgan has fought and hunted vampires, werewolves, banshees, demons, and other supernatural dangers as both witch and bounty hunter—and lived to tell the tale. But she’s never faced off against her own kind, until now. Denounced and shunned for dealing with demons and black magic, her best hope is life imprisonment-at worst, a forced lobotomy and genetic slavery. Only her enemies are strong enough to help her win her freedom, but trust comes hard when it hinges on the unscrupulous tycoon Trent Kalamack, the demon Algaliarept, and an ex-boyfriend turned thief.It takes a witch to catch a witch, but survival bears a heavy price. Rachel Morgan is back and Marguerite Gavin does her usual great job in pulling us through yet another Hollows episode. 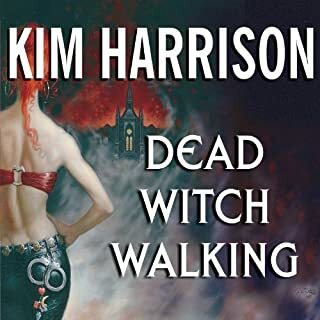 Kim Harrison is one of the few modern authors who strive to make this niche genre that is Urban Fantasy so much better with each novel she puts out. 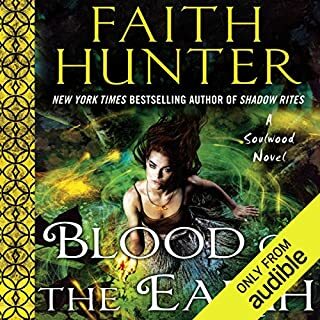 While this is novel is certainly a big step above the norm of Urban Fantasy it is not the best novel in this series by far. Rachel Morgan has in the previous seven novels established herself as a powerful entity in the Hollows universe, she has overcome trial after trial refusing to join any of the factions but rather sticking to her small band of friends including Ivy the vampire and Jenks the pixie. But this independence comes at a cost, she has been shunned by the witches, Trent the elf hates her and the vampires demand results on her research. In short she cannot continue to stand out so prominently in society and still keep disregarding politics. If only Kim Harris could write faster! Kim Harris&#8217; new novel &#8220;Black Magic Sanction&#8221; hits the ground running and does not stop! This installment of Hollows series is an emotional ride. If you are thinking about starting a new series that will keep you up listening to the stories all night long, that please take a look this Kim Harris series. But be warned, once you start the first book, your monthly credits will not come quick enough! By the way, you could start with this book, she does a very good job of tucking in just enough recap, but don&#8217;t. Experience the story from the beginning. Good series - 2 credits ?? I have enjoyed all the books in this series. 2 credits however indicates greed on someones part. It is a file I downloaded from Audible. No CD's, packaging or any other hardware that adds cost. So when I see a price of 2 credits I wonder why this book costs more then 99% of the other books on Audible? If not for that issue the overall rating would be 5 credits. This is a great series, this book is just good compared to the others. Rachel Morgan, the main charcter, was far too petulant in the first 3/4 of this book..."I can't"; "I won't"; "I'm not" are among the repeated phrases that makes the story grow tiresome. Very important changes occur in this book that seem secondary when they should have been more pronounced...this was disappointing to me. There is non-stop adventure as Rachel is threatened throughout the book allowing for interesting fight scenes, mishaps and even a trip to Alcatraz. The last quarter seemed more fluid, and less contrary, more meaningful and finding more resolve...after all the angst a new relationship emerges for Rachel. The series is still great, this book was just not as good as others but still worth the read. The narrator is great, changes voices and allows the story to come alive. I believe listening to any book is time well spent since it's usually during a commute and I have nothing else to be doing. Overall though, I am disappointed with who Rachel has become. You expect growth from a character. Rachel has become less competent as the series goes on and the stupid decisions seem contrived to add something to the story, but really they just serve to frustrate the listener. Just started the Mistborn series by Brandon Sanderson. Always love Jenks. I think Marguerite Gavin does a wonderful job. Still angry about 2 credits for this book and I think if the publisher continues to be overly greedy It may just be what pushes me to move on. You get hooked on a series and everyone wants to see what happens next, so the publishers have taken advantage of that to charge double for a book that is in no way deserving of the extra money. I have to say that when I first started this series, I found the character's flaws and quirks annoying, but those same things are what I quickly began to find endearing and interesting about them. The series has been consistent in its own universe (a quality of genre fiction that is really important), and although it is a bit on the edge (wizards and witches and werewolves and vampires and pixies AND demons AND elves!!) that is what makes it fun. It's completely wacky and unlike any other series out there. This installment doesn't follow the "formula" of the adventures we have come to expect from Rachel and her band of misfits, but to be honest, it was a refreshing break to just have lots of plot lines begin to wrap up and come together. There were so many things going on and left hanging that it was a relief to have an ending that mostly tied them up. Sure, there were loose ends, otherwise there wouldn't be anything for the next book to be about, but there wasn't the devilish cliffhanger at the end of this one that there was in the book before this one. I agree with some of the other reviews that Rachel gets a bit whiny and sometimes staggers indecisively and doubts herself for so long that you want to scream, "Get on with it!" at her. But mostly, the story moves fast, you learn new things about the characters (especially Al, good news for those of us secretly rooting for the bad guy! ), and all the action and suspense that makes this series fun is there in spades. 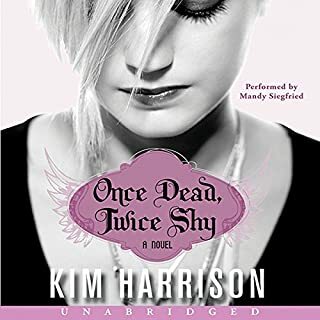 Fans of Kim Harrison won't be disappointed. And the story is longer than a few of the others, so it makes a satisfyingly long listen. Worth a mention as well is the wonderful narration by Marguerite Gavin, who so perfectly captures every character's voice and emotions in a way that completely brings them to life. 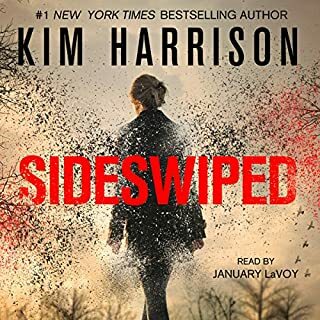 Before I dig in I have to say I'm a very big fan of Kim Harrison and I love the hollows series I have been anxiously awaiting this book for a long time and I'm glad I got it. Unfortunately, this is probably the weakest book in the line so far. I counted a rather disappointing number of "mistakes" in this book as if the author had forgotten the details of the books before it. I don't want to give anything away here but sometimes I feel authors should re-read their own material before writting the next one, it would cut down on the goofs. Also in this story Rachel very much came off like a self righteous cry baby in the weirdest places. going on and on about things that were fairly cut and dry, and did so in a manner that feels contrary to her very well established character. Obviously there have to be conflicts and characters have to evolve and change I get that but in this story it came off really whiney and out of place, almost like Rachel was suddenly 17 or something. Over all I still enjoyed this book and I am already looking forward to the next one. I'm sure it will be better. Each book seems to have a similar story arch: starts off with Rachael in some trouble, things get much much worse, and then by the end things are a little better (but worse off than the beginning). I guess just once I'd like to see Rachael have a few things go her way. Did Black Magic Sanction inspire you to do anything? I'm kind of teetering on abandoning the series. I'm enjoying the books less and less. 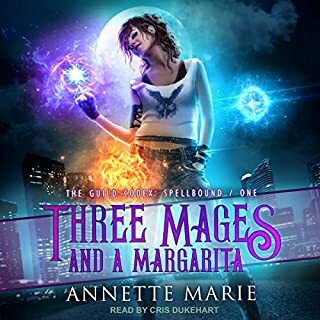 A great spin on the world we think we know, I love the books, BUT, Marguerite Gavin would not be my first for narration. after a few hours in, I can forget about her voice and enjoy. well worth buying. try to get the books in order.